Data preparation is a key task in any Machine Learning workflow, but it’s often one of the most challenging and time-consuming parts. Read below about BigML’s new data transformation capabilities that make work faster and easier than ever before. BigML’s upcoming release on Thursday, October 25, 2018, will be presenting our latest resource to the platform: Data Transformations. 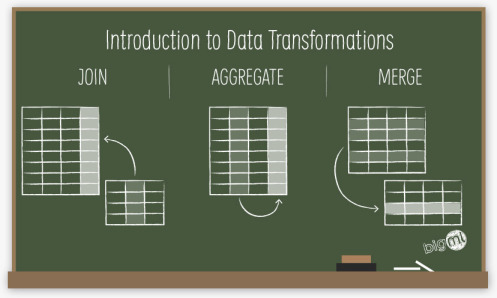 In this post, we’ll do a quick introduction to Data Transformations before we move on to the remainder of our series of 6 blog posts (including this one) to give you a detailed perspective of what’s behind the new capabilities. Today’s post explains the basic concepts that will be followed by an example use case. Then, there will be three more blog posts focused on how to use Data Transformations through the BigML Dashboard, API, and WhizzML for automation. Finally, we will complete this series of posts with a technical view of how Data Transformations work behind the scenes.